Beautifully illustrated and designed, this gorgeous reference book explores the world of trees from every perspective—from the world's great forests to the lifespan of a single leaf. 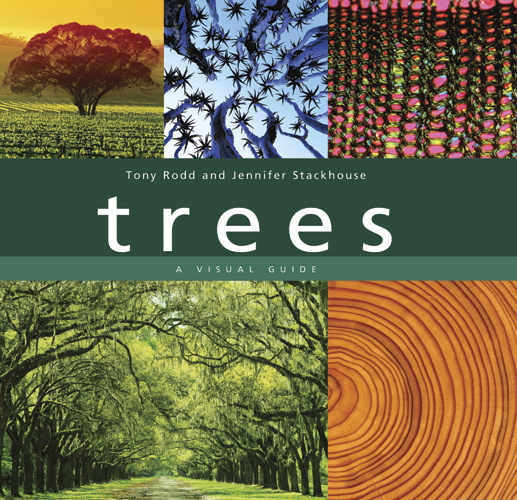 Arresting color photographs of a wide variety of trees and close-ups of many of their remarkable features provide an enormous amount of information in a highly accessible format. The volume illustrates how trees grow and function, looks at their astounding diversity and adaptations, documents the key role they play in ecosystems, and explores the multitude of uses to which we put trees—from timber and pharmaceuticals to shade and shelter. A highly absorbing read cover to cover or dipped into at random, Trees: A Visual Guide delves into many specific topics: the details of flowers, bark, and roots; profiles of favorite trees; how animals and insects interact with trees; trees in urban landscapes; the role trees play in our changing climate; deforestation and reforestation; and much more. 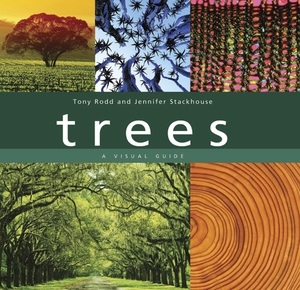 With clear diagrams, illustrations, and intriguing sidebars on many featured topics, this unique volume is a complete visual guide to the magnificence of the arboreal world.